Excellent quality, yet light as a feather, so you can rest assured they'll drop beautifully, without a worry about falling off. 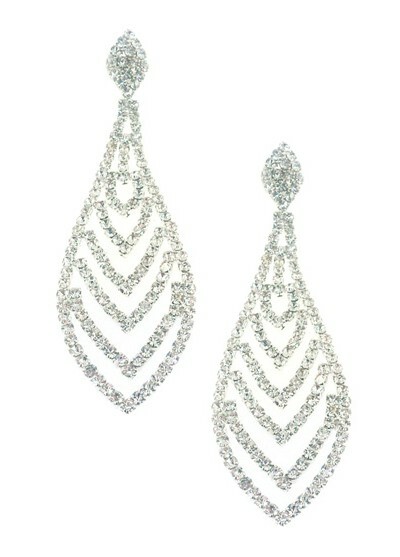 Stunning design created using hundreds of tiny shimmering rhinestones which twinkle with each ray of light. Starting at the top there's a shimmering diamond which leads down into five dazzling chevrons, topped with an open diamond. At last, clips to challenge pierced! Size: 8.5cm (3¼").